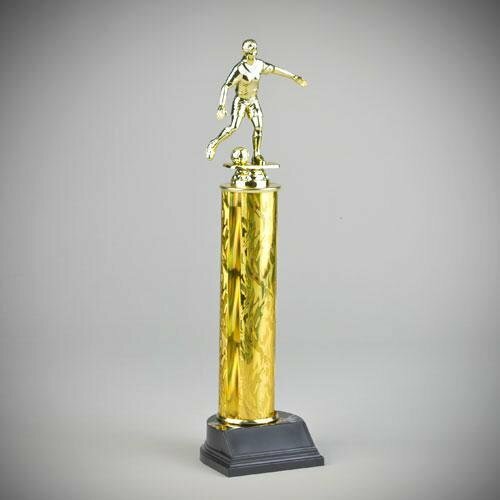 Available in 3 sizes, this old school style trophy with a modern flair is perfect for competitions where multiple places are awarded. It features a single round column that offers the illusion of motion and sits on top of a swirl riser that continues that illusion. 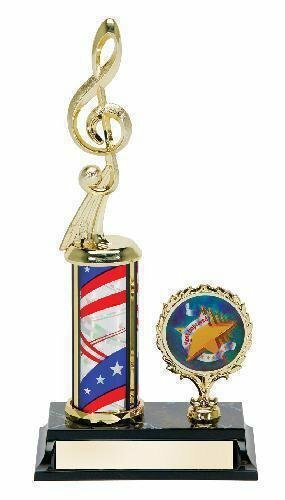 Topped off with a gold cheerleader, and mounted to a black weighted base that has plenty of room to personalize, this is a great award to acknowledge persistence, spirit and skill.